Introducing the AluK aluminium system, slimline aluminium windows. As part of our ongoing effort to bring our customers the very latest in aluminium windows, we introduce the AluK Aluminium system. This is one of the very latest aluminium windows systems available today and is ideal for new build or window replacement. Our latest slimline aluminium windows meet the highest standards for security and energy ratings. It also brings all the advantages of aluminium such as slim sight lines, inherent strength and a wide choice of colours. We can also customise the product for you to create any window design or style. slim sash for crittall replacement windows. Our new aluminium window range is available in windows that can be top hung or side hung open out, tilt and turn even fully reversible. Whether you are looking for a contemporary modern window or require something with more traditional lines it is possible. 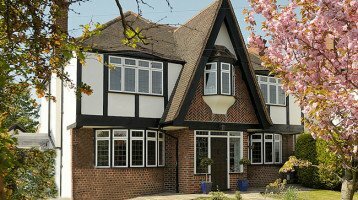 Internally or externally glazed options the choice of externally or internally beaded windows will depend on the look you are trying to achieve. Our specialist team can advise you further but regardless of option chosen the windows all meet British Standards for security. Flat, chamfered or Ovolo details to achieve traditional or contemporary appearances The choice of profile detail means there is a window to suit traditional, new build or steel window replacements. 58mm or 70mm frame depth. 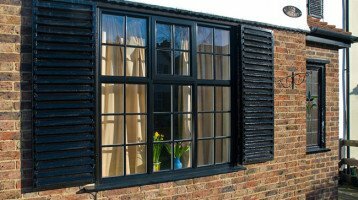 The choice of outer frame depth means windows can be fitted as direct fix windows or into existing hardwood subframes. Windows can be specified as highly secure with ‘Secured by Design’ accreditation. 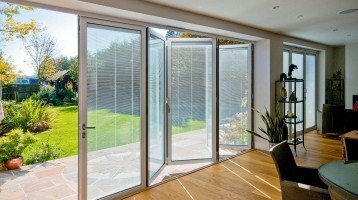 Glass thicknesses of up to 44mm This means you can have triple glazing, enhanced glass or glass with integral blinds built in. No more expensive dummy sashes. 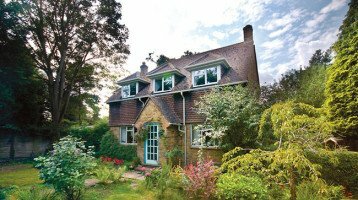 Unlike other window systems requiring dummy vents to keep a consistent look throughout, our windows use a unique double beaded arrangement which achieves the dummy sash look without the additional cost. As with all our aluminium windows, we offer a huge choice of colours, textures and finishes some of which can be seen in our showrooms in Worcester Park, Hampton Court and Banstead High Street.